In his latest post, Matthew Goodwin reveals the most Eurosceptic seats in the UK and notes the surge in anti-EU feeling in England’s eastern counties, Wales and the south-west. Conversely, Leave activists are unlikely to waste their time campaigning in London, where Remain prevails. What are the most Eurosceptic seats in Britain? Since we last met, a new Eurosceptic movement has launched. Grassroots Out (or Go!) is the latest effort to mobilise support for Brexit and claims that it will root its strategy around a “constituency by constituency plan”. This got me thinking. What are the most Eurosceptic seats in Britain? There are different ways of answering this question. One way is to look in broad terms at the type of voters who are in each seat -ie to rank seats according to their share of the social groups that we know are most likely to lean toward Leave. 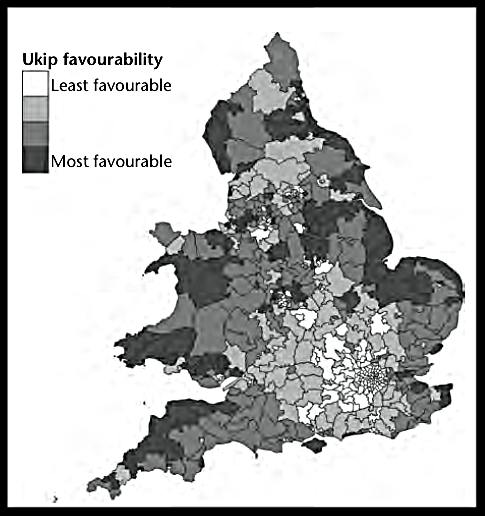 When Caitlin Milazzo and I did this for our recent book we were left with the map below, which sorts seats according to how favourable they were likely to be to the ‘harder’ brand of Euroscepticism offered by the UK Independence Party. As you can see, if Eurosceptics are planning to run a constituency-by-constituency campaign then the good news for them is that there is a very clear geographical pattern. They would do well, for example, to target England’s eastern and southern coasts, parts of Yorkshire, the East Midlands, Cumbria and Wales. You can download the complete rankings for seats in England and Wales. The top ten seats in England are below. 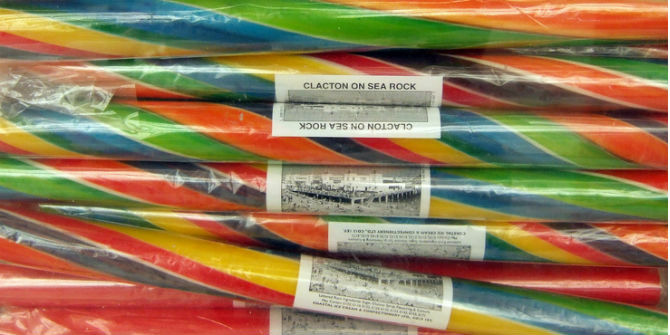 At the general election last May all but two of these seats handed Ukip higher than average shares of the vote, from 44% in Douglas Carswell’s seat of Clacton to 21% in Gloria De Piero’s seat of Ashfield. These seats are filled with voters who share the core features of Eurosceptics – blue-collar, grey hair, financially struggling, and lacking qualifications. This is not a criticism, just a fact. Few Leave voters look like Daniel Hannan. But these areas also look very different to those at the other end of the spectrum, where the Leave campaigns will likely encounter hostile voters. The ten least receptive seats are all in London – like Chelsea and Fulham, and Hampstead and Kilburn. Beyond the capital the least receptive seats in England tend to be younger, urban and more affluent or ethnically secure – Bristol West, Manchester Withington, Cambridge, Birmingham Ladywood, Sheffield Central, Reading East, Leeds North East, St Albans, Oxford East and Sheffield Hallam, to name only a few. But this is also only way to cut the numbers. If you download the spreadsheet you can compare our rankings of the most Eurosceptic seats with those compiled by another team of academics. Rather than look only at the types of voters in seats, Chris Hanretty and his colleagues combined information on how voters plan to vote at the referendum with information on demographics to produce an estimate of the likely vote for Brexit in each seat. Many of the most Eurosceptic seats also appear toward the top of our own list – filled with the same types of voters. Here’s their map. All but one of the ten most Eurosceptic seats also appear in the top third of our own list, revealing how the data are pointing toward very similar territory. There are similar findings across both lists. First, between one-third and nearly half of the top hundred seats are scattered along Eastern England. In earlier years the Eurosceptic movement was often most active in the south west but today it’s real heartland is England’s east coast. Second, the data also point to similar clusters of Eurosceptic potential in the Midlands, Yorkshire, and the North West, in struggling left behind areas like Blackpool, Bolton, Boston and Skegness, Don Valley, Dudley, Louth and Horncastle, Mansfield, Rotherham, Scunthorpe Stoke, Walsall and Wigan. Third, the Greater London area is not a complete desert for Eurosceptics. Outer-east areas feature towards the top of both lists, like Dagenham and Rainham, Hornchurch and Upminster, and Romford. Fourth, our number crunching also flags a cluster of fifteen seats in Wales that look potentially receptive to the Brexit camp – such as Rhondda, Blaenau Gwent and Merthyr Tydfil, which goes some way to explaining why Ukip looks set to enter the Welsh Assembly this year. In what the polls suggest will be a close referendum race how the campaigns use data and target their resources could make all the difference. Inexperienced movements have a habit of targeting the wrong areas. There would be little point in Remain activists spending evenings and weekends in Clacton, or Leave activists traipsing around the leafy streets of Highgate and Hampstead. Instead, both would do well to redirect their energy and focus onto territory where they can mobilise a much larger number of their supporters. After all, turnout could make all the difference. And, lastly, before anybody asks, we will come back to these data in a little while to explore the Remain heartland too. On February 26 Chatham House will also be hosting a breakfast briefing for journalists on the referendum, featuring Anthony Wells and Professor Sara Hobolt. Journalists can register here. Simon Hix asks – Do UK MEPs get key positions of power in Europe? In this helpful report, Rob Ford and Anthony Heath examine public opinion on migrant benefits. An earlier and shorter version of this blogpost appeared in The Times Red Box. 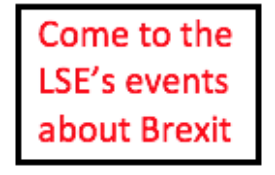 It represents the views of the author and not those of BrexitVote, nor the LSE. 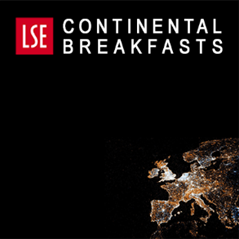 Matthew Goodwin is Professor of Politics and International Relations at the University of Kent and an ESRC Senior Fellow on the UK in a Changing Europe programme. In 2015, he won the Paddy Power Political Book of the Year for Revolt on the Right, co-authored with Robert Ford. Has Scotland finally got Independence ? Sutton and Cheam is in South London – not Sutton Coldfield! Older people (say 50+) who have lived in the UK for most if not all of the UK’s EU membership (of what was sold as an Economic Community) are much more likely to remember what has been lost – for example the whole North Sea fishing fleet/processing and Merchant Navy; the replacement of our “Everything legal unless the State prohibits for the protection of others” legal system with the Roman/Napoleonic system whose theme is that “nothing is legal unless the State permits it with a Directive”, and so on. However, these people are labelled as “unqualified” because they had their education at a time when most people left school with a few CSEs at age 16; it was only the top 20% who did ‘O’ Levels who moved on to ‘A’ Levels, and then it was only the top 20% of those who went on to University. The oldest among us often had to leave school at age 14 due to bombing during WW2. Younger people only seem to be motivated by whether they can get cheap flights and if they need to change their money for stag do’s in Prague. A bit like the Antipodean natives accepting trinkets from Captain Cook with no awareness of the future implications.